We'll bring you more tomorrow but in the meantime, here is a picture of Men's winner Simon Bailey and a link to a pdf copy of the results kindly given to us by the organisers. At the time these were printed the organisers were unsure where one Bingley runner (James Senior) came. We're sure they will rectify this as soon as they can. 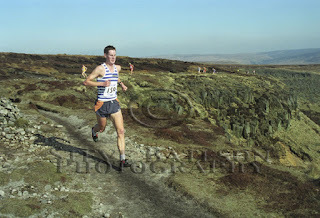 The 2012 FRA English Championships season gets a jump start this Saturday with the Lad's Leap Fell Race in the Peak District. The Race is 5.9miles and 1700 ft. It starts from the campsite at Crowden on the Woodhead Pass. 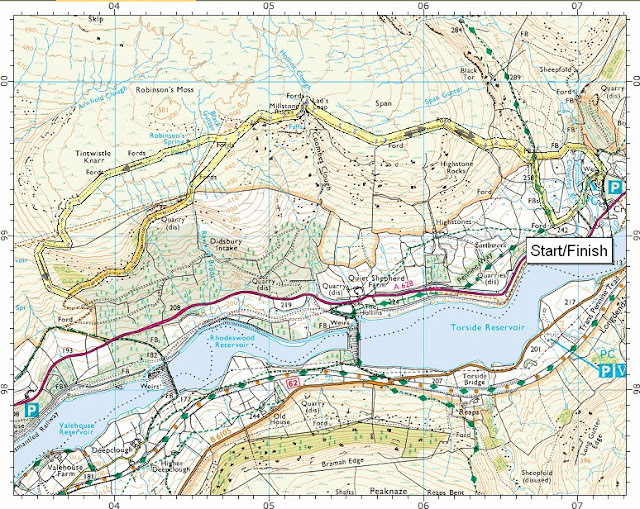 For a couple of miles, as the route climbs up on to the moor, it is very runnable. A noteworthy attraction at this stage of the race is a tall post which marks the site of an aircraft wreck. Shortly after crossing Lad's Leap, the cleft in the moorland the race is named after, the route reduces to a stretch of unnavigable heathery hell (that has a mission to untie as many shoe laces as it possibly can) that we know the more traditional fellrunner will relish. "Triple tie your shoe laces or I will destroy you!" 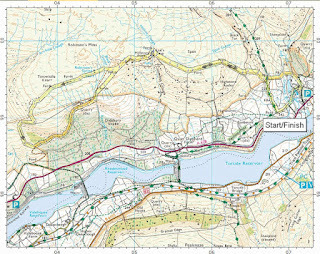 After a short (but not exactly sweet) descent, the runners will need to climb a cruel fire track for 'a good while' back to the Lad's Leap and then prove their worth, racing back, reversing the route they took on the climb to the moor, past the aircraft wreckage post, trying not to lose the places they gained in the heather or on the climb (depending where their fellrunning fortes lie). P&B's Rob and Danny Hope, will Rob be back on form and will Danny have been training? Plus Ambleside's Ben Abdelnoor, Borrowdale's Chris Steele, the Helm Hill Addisons and many many more! Here's the entry list so you can make your own predictions. Lad's Leap was a Championship Race nine years ago on 16 March 2003 and that's when the photographs we've used above were taken. 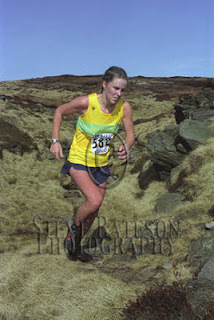 Why not take a trip down memory lane and look at the rest of Steve Bateson's photographs or even (if you dare) have a look at the times people ran nine years ago to see what the 2012 runners will have to beat, now they are nine years older. 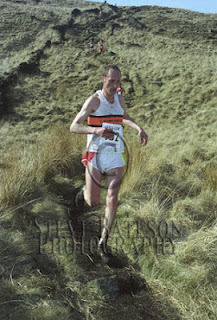 Fell Running Briefs will be at Crowden on Saturday (17 March), bringing you the news as soon as we can. 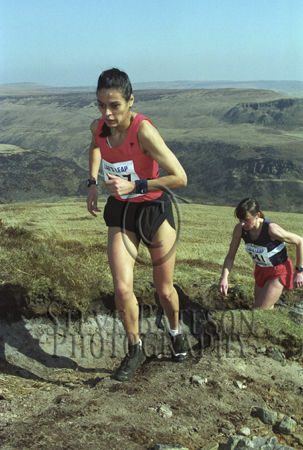 Follow us on twitter (@fellrunninbrief) for the earliest updates, which also appear at the top of this page. The ladies run at 12 noon and the men are due to set off at 1pm. See you Saturday!